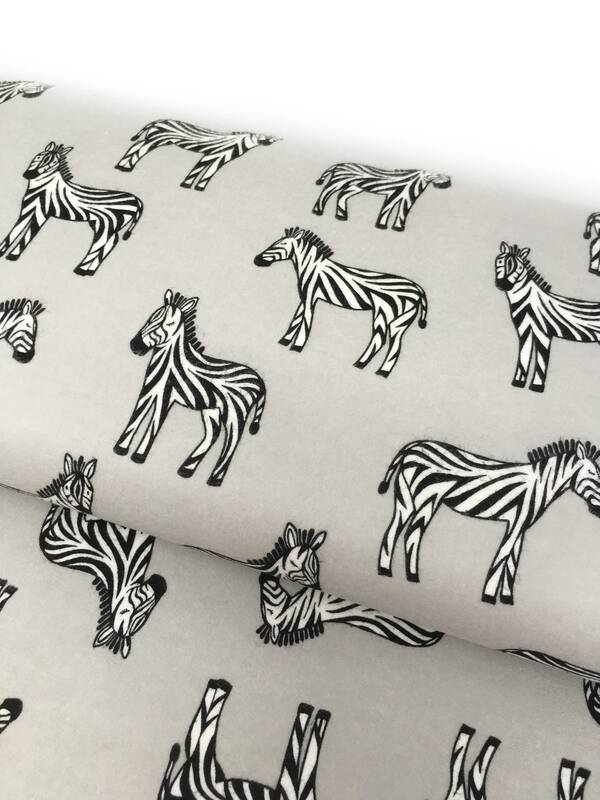 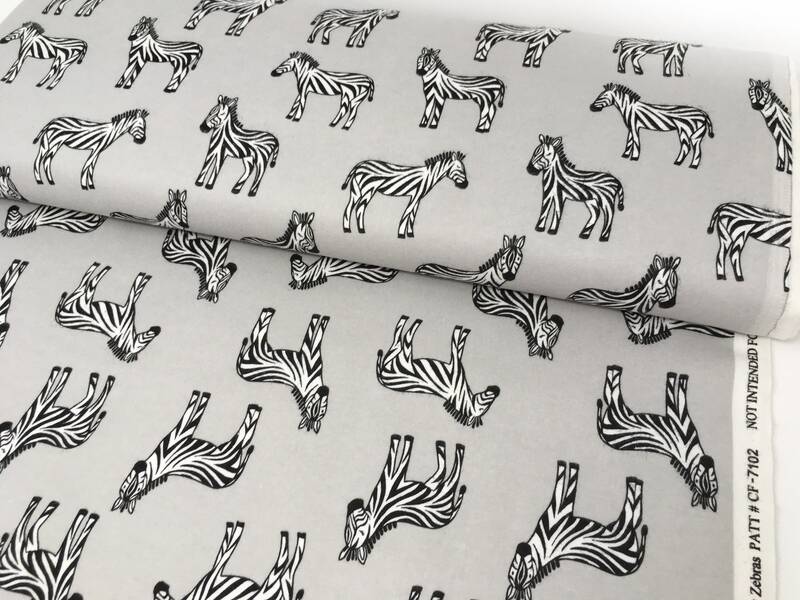 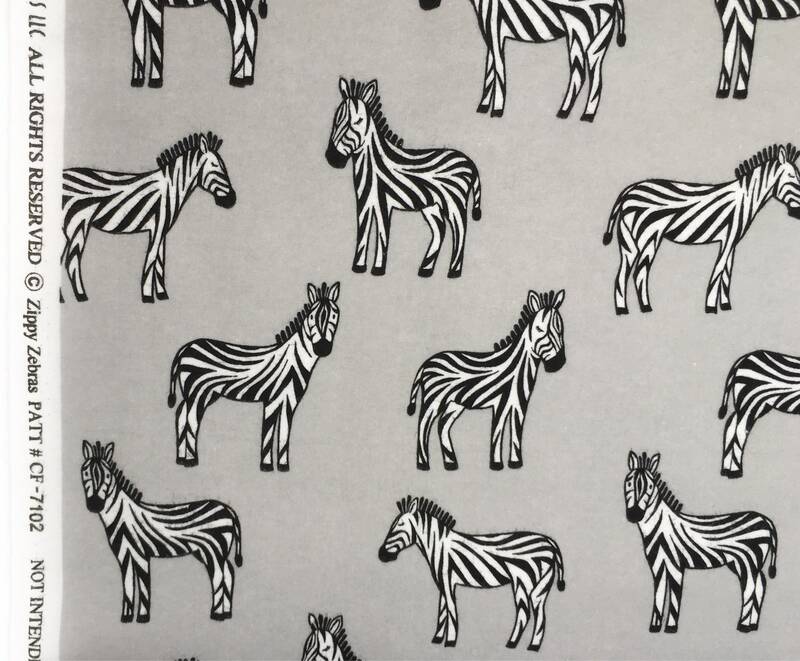 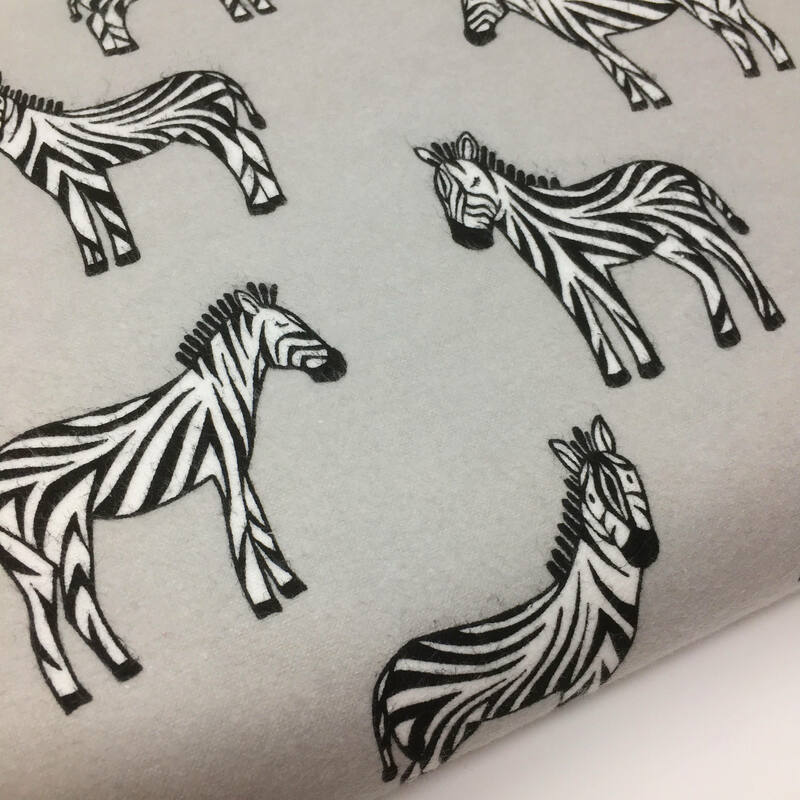 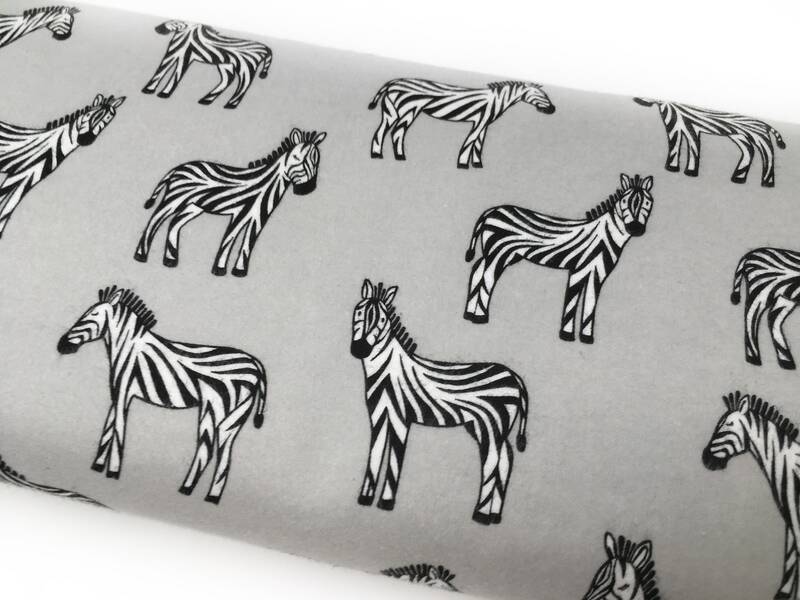 Michael Miller Baby Zoo CF7102-CLOU-D Zebra print fabric with grey base. 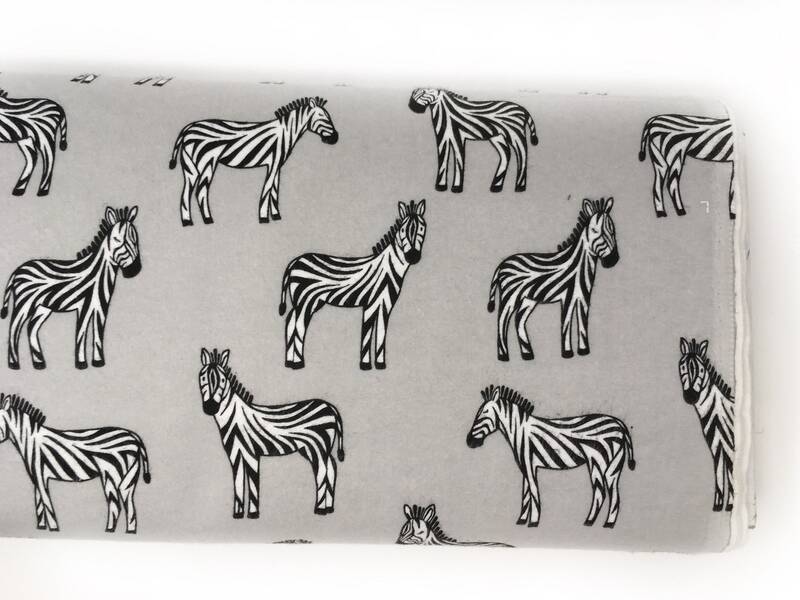 100% brushed cotton flannel with a lovely soft handfeel. 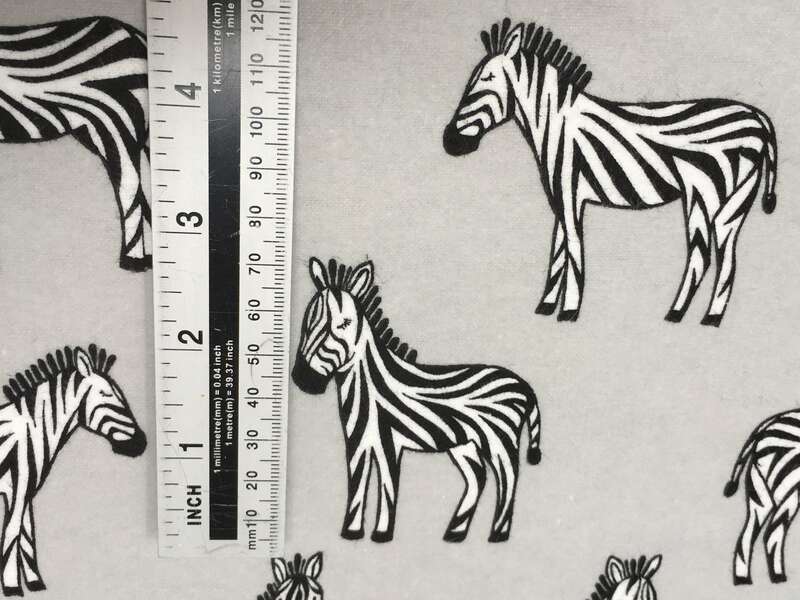 The material is absolutely beautiful.